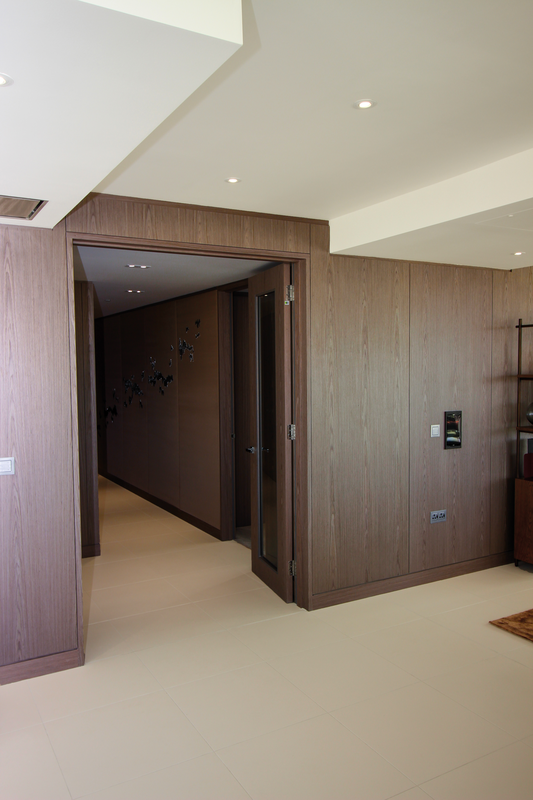 Schlüter-Systems provided a variety of trims and movement joints to ensure a damage-free finish for the tiled walls and floors of high-end residential project, Landmark Place. 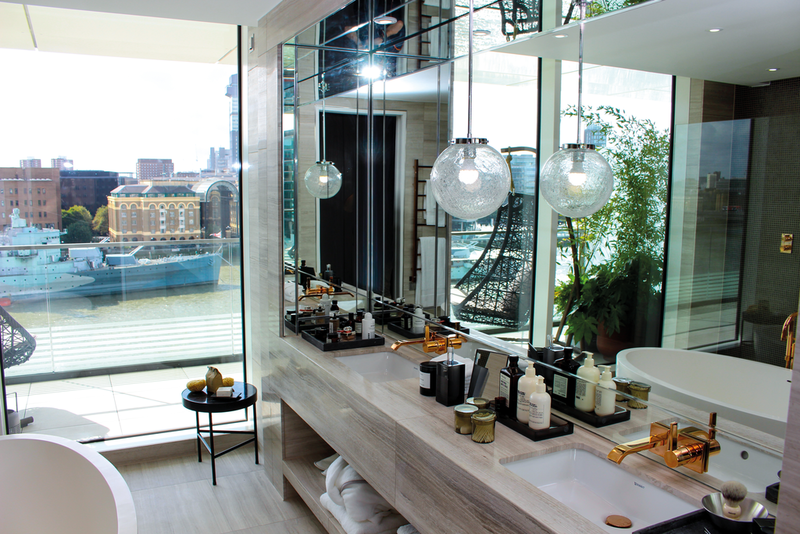 The 280,193sq ft Barratt Homes development has an enviable position on the north bank of the River Thames, near the iconic Tower Bridge, and boasts 165 one-bed suites, one, two and three bed apartments and penthouses across 10 storeys. It replaces Sugar Quay, a 1970s office building built for Tate and Lyle, which was purchased by CPC Group back in 2012. 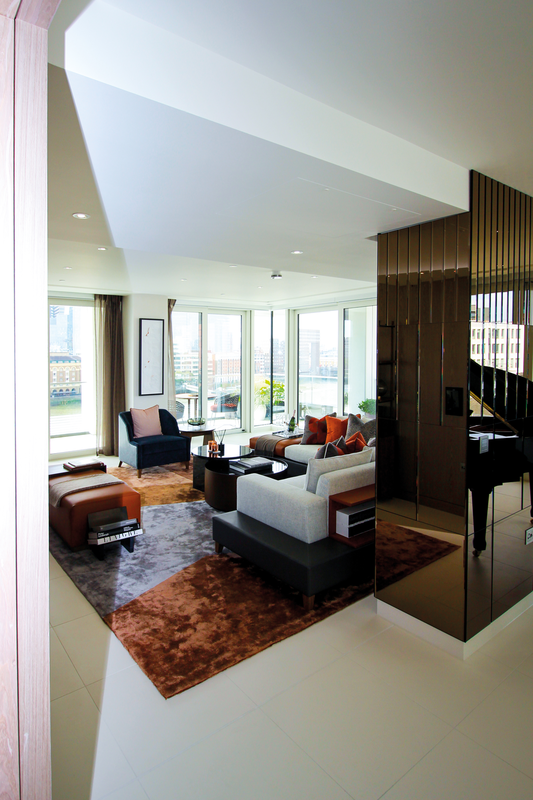 The project was a Foster + Partners scheme delivered by Broadway Malyan. A six-year process has resulted in stunning surroundings for those who are lucky enough to have secured a residence, and Schlüter-Systems’ products provide subtle and stylish support throughout various formats of matte and polished porcelain (297 x 297mm, 597 x 597mm, 1197 x 1197mm) and 600 x 600mm marble. Schlüter provided 7550m2 of its uncoupling membrane Schlüter®-DITRA 25, in addition to over 400 metres’ combined length of the 10mm-wide PVC movement joint Schlüter®-DILEX-BWB and the 5mm-wide equivalent Schlüter®-DILEX-BWS, both in brilliant white. 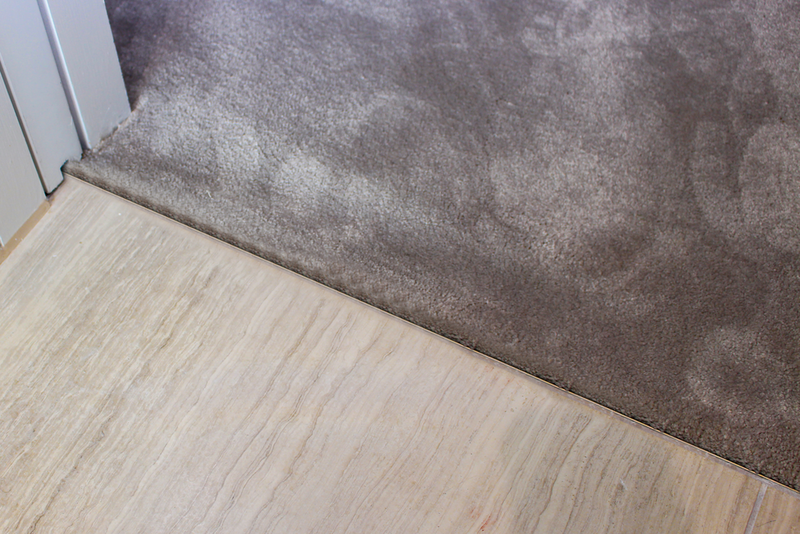 The combination of these two products forms a complete system to guard an installation against damage from movement. 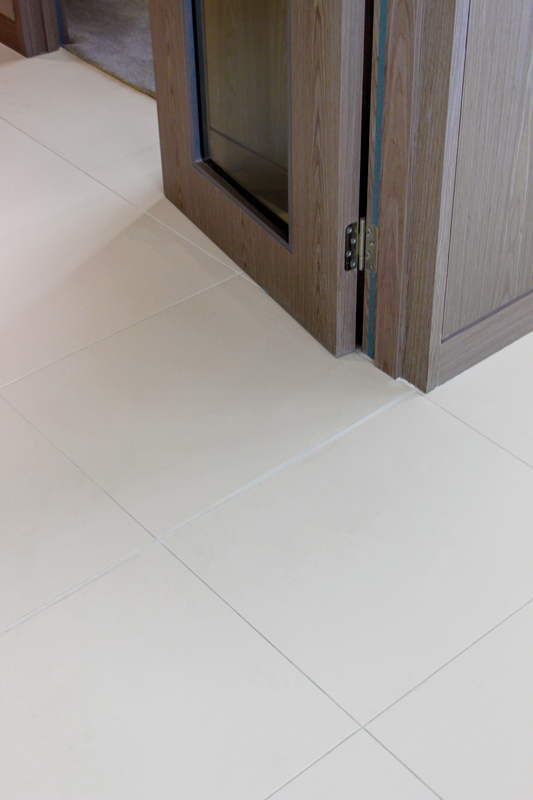 Installed between the tile and the substrate to accommodate the differentials of movement in the tile and substrate, DITRA 25 has become a tile installation staple, having now amassed over 30 years of proven use across the world. 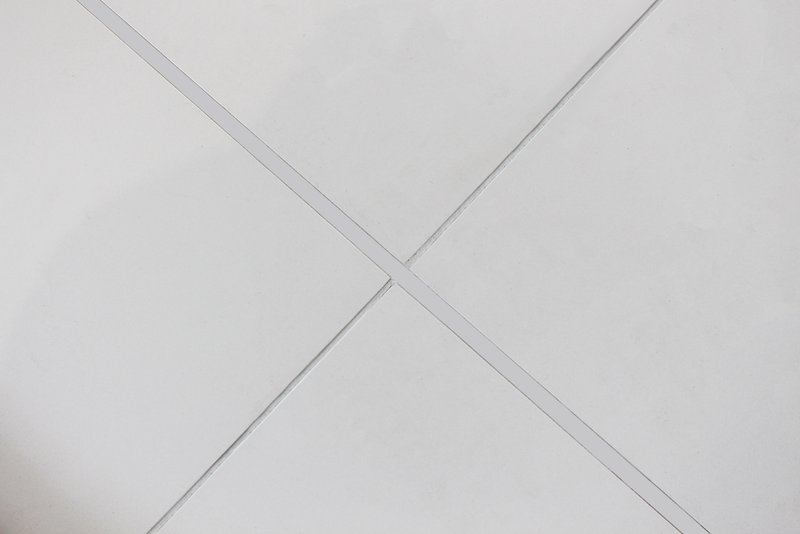 DILEX-BWS and -BWB divide a tile covering into appropriately sized fields for the relief of tension and are available in a variety of popular tones, making them as inconspicuous as possible within an installation. Transition profiles Schlüter®-SCHIENE and Schlüter®-RENO-T in brushed stainless steel were used to neatly handle changes in the covering material. SCHIENE was used for finishing in areas where tile abutted carpet and the T-shaped RENO-T provided a neat bridge between adjacent tiled areas. Wall profile Schlüter®-JOLLY-MC was used on the niches and external wall corners within all the porcelain bathrooms of the project. Consisting of brass with a plating of chrome, this stand-out finishing trim combines premium durability with a particularly high-shine finish. 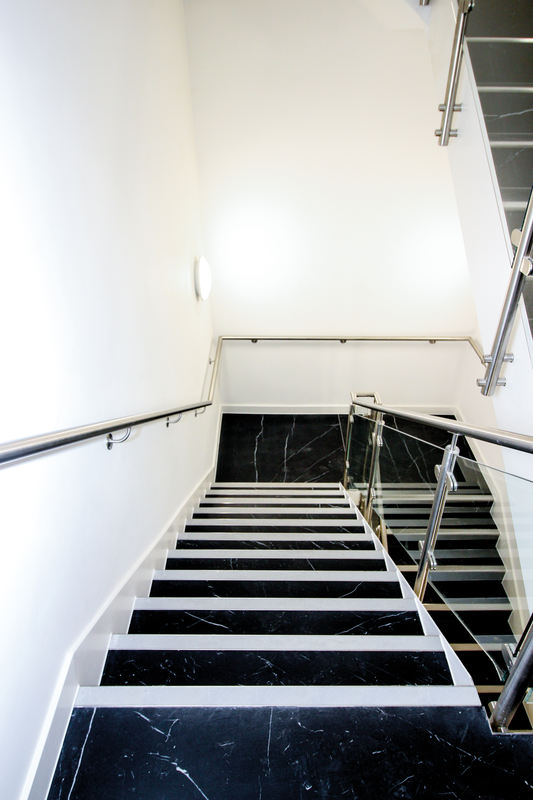 Schlüter®-TREP-G, a brushed stainless steel stair nosing with an adhered non-slip insert, was used to finish and enhance the safety of the marble-effect porcelain tiled stair core. 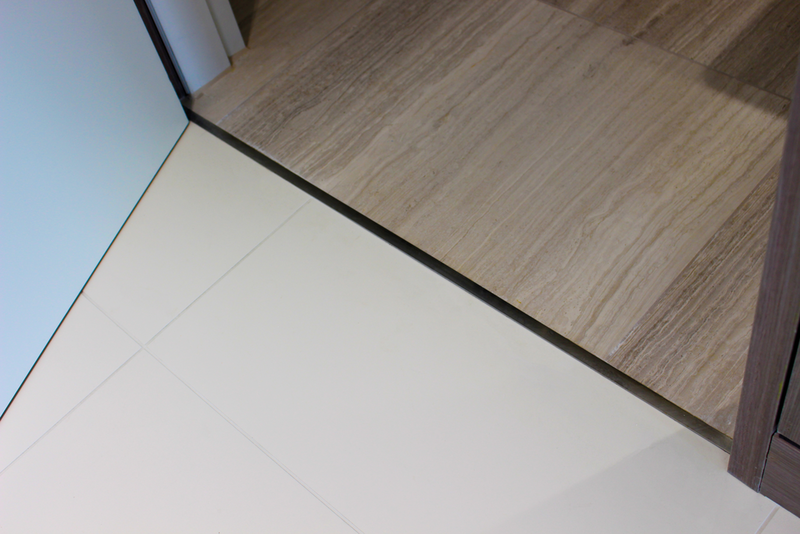 The white insert selected not only provides slip resistance, but also creates a good contrast with the dark porcelain tile for enhanced user friendliness. 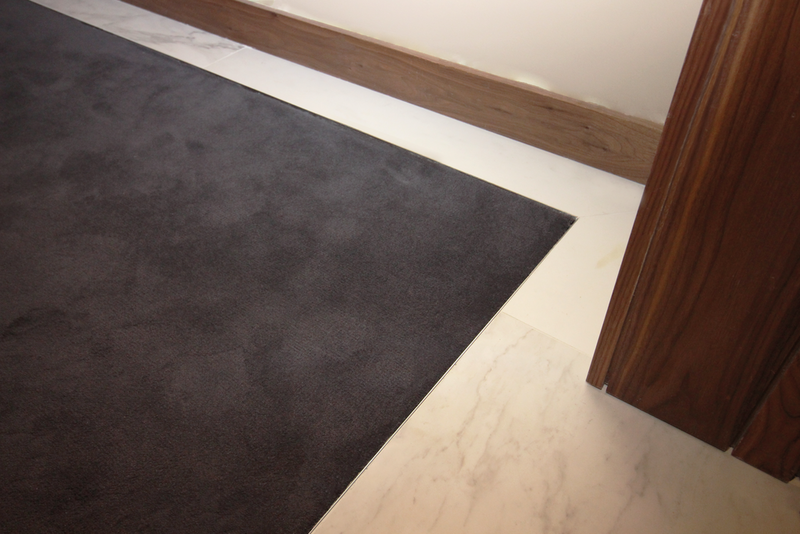 “We find that Schlüter offers a great range of profile depths, so you can always find the right sized trim for job”, says Joshua Gallagher, Project Manager at Marmi Limited, “This was of huge benefit at Landmark Place, as there were so many different expanses of tile and material transitions to handle”. “Whenever we order Schlüter products, we always find them to be of the highest quality”, continues Joshua, “Our teams enjoy installing them and never have any problems doing so”. Established in 1992, Marmi Limited specialises in the design, supply and installation of high-quality internal stonework, complemented by associated works such as screeding, waterproofing, underfloor heating, terrazzo and ceramic tiling. For more information, visit http://www.marmiltd.co.uk.